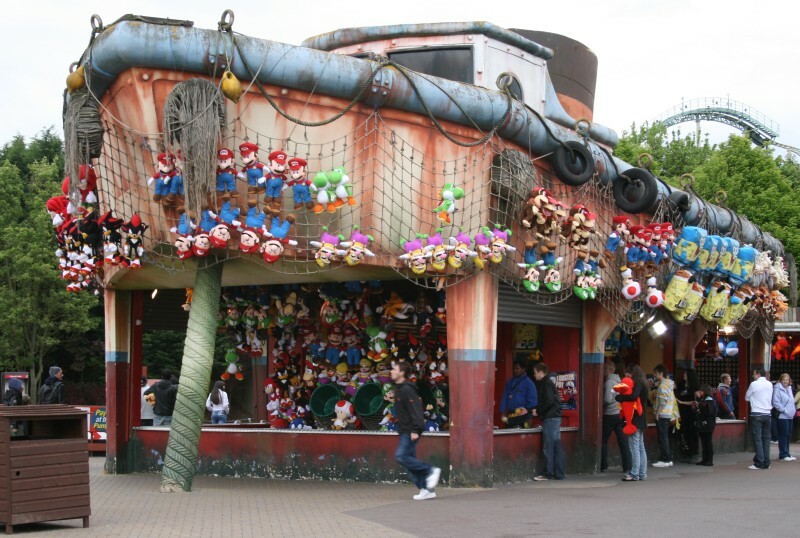 Thorpe Park is probably the second most famous amusement park in England, after Alton Towers. My work's social team did a trip there today. 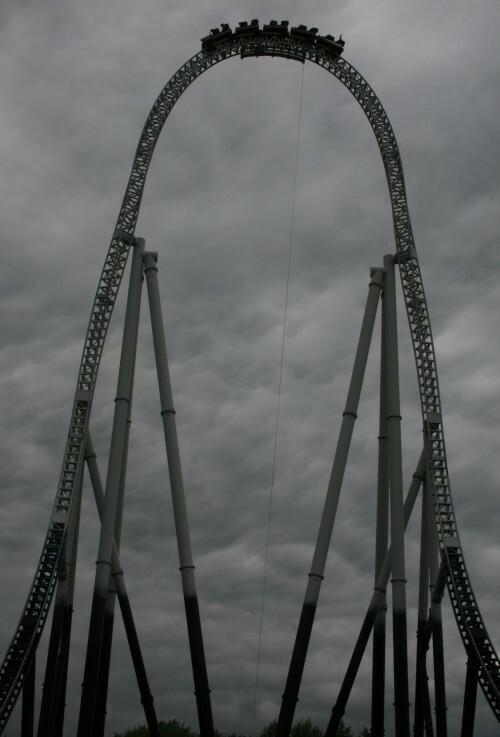 I've never been on a rollercoaster, so I was quite excited about this. 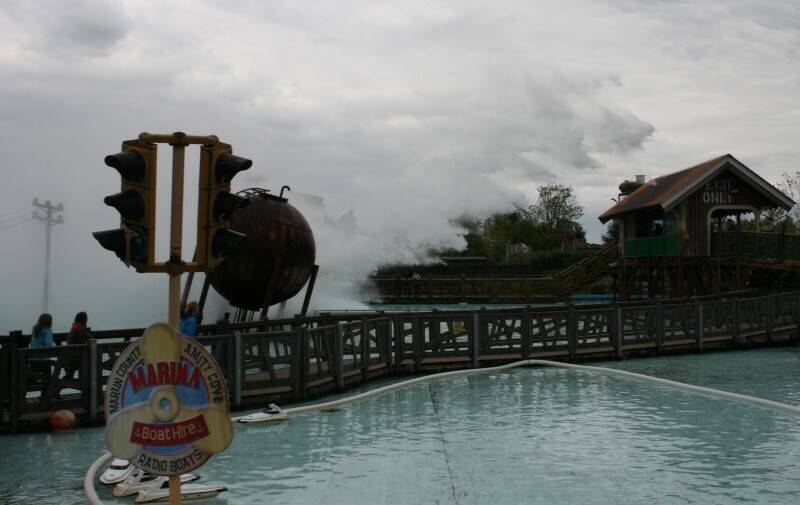 I started with a ride called Tidal Wave, where you sit in a boat and it climbs several stories high and then zooms down a ramp into a pool, spraying out a huge plume of water. It was perishingly cold today, and I wore light clothing. I hoped that the water would spray out from the boat, leaving the occupant relatively dry, but I put on my pink poncho just in case. I was promptly mocked by the ride attendant. You can't really see it here, but the boat has just come down on the left of the shot. The wave is going over the roof of the shed on the right. It turns out that you get absolutely soaked on the boat. There was water sloshing around in my shoes and my jeans were drenched too. That was a genius move, first thing on a cold day. 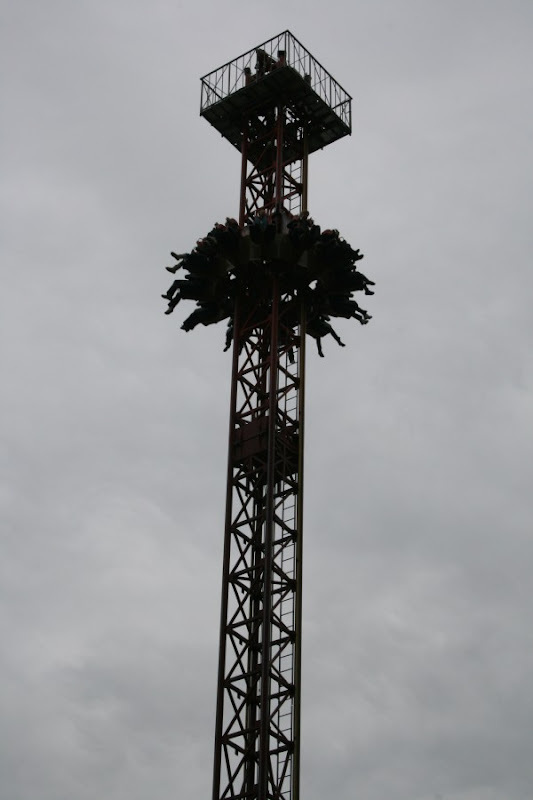 I then went to a ride called Stealth. It's a rollercoaster, and it's quite short so I thought it wouldn't be too bad. Then I got to the start, and there was a woman doubled over, doing a series of power chunders. That's a clue about the ride, for the observant. The observant should also look where they're stepping. 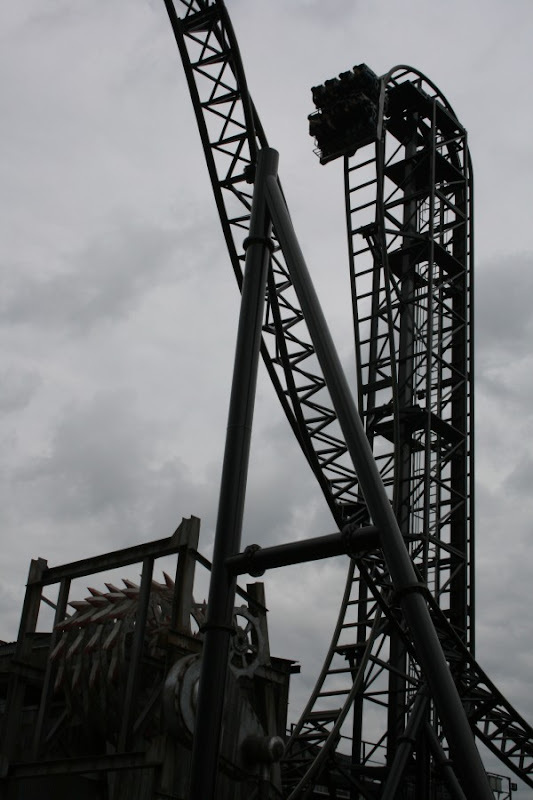 Stealth starts flat and rockets from 0 to 80 mph in 2.3 seconds. It then climbs straight up and drops straight down, all very fast. 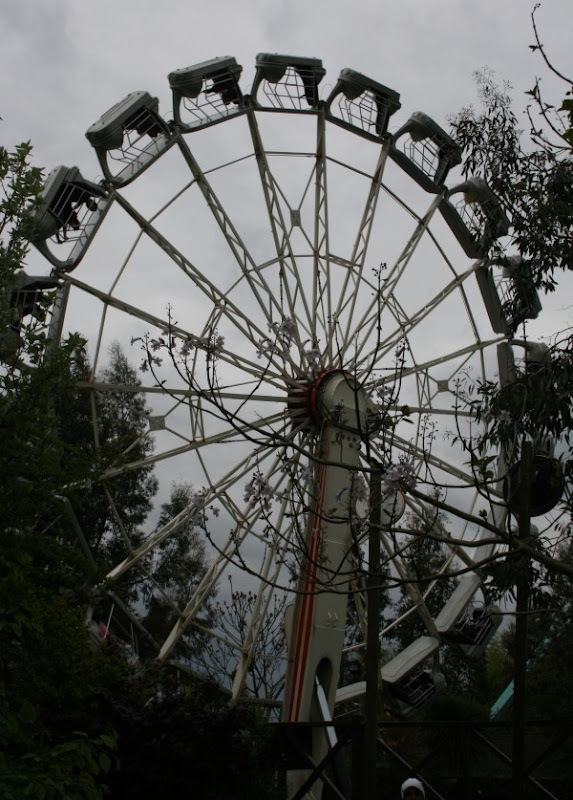 It occurred to me, just after take-off, that I wanted to get off that ride more than I've ever wanted anything in my life. 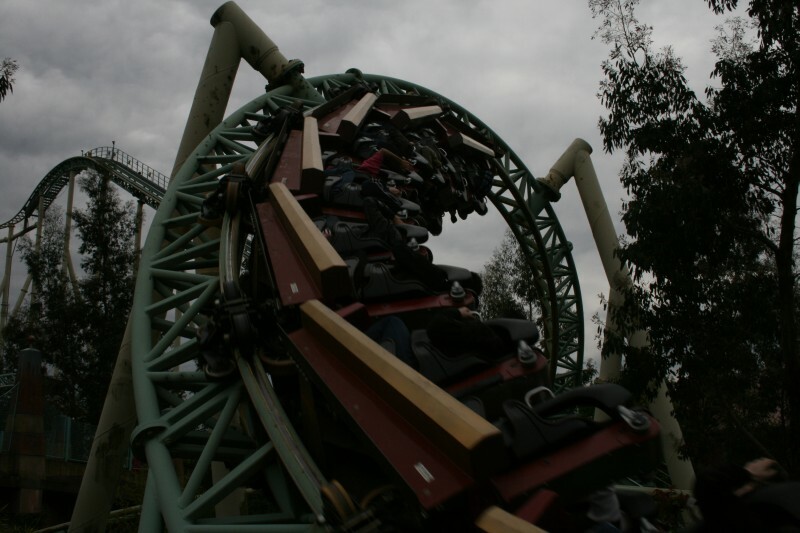 Next, I headed to Colossus, which is probably the most famous ride at the park. 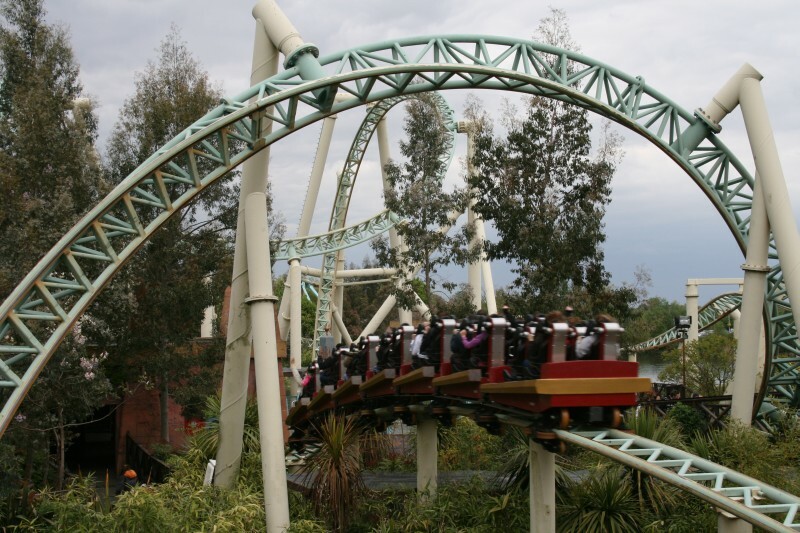 It is allegedly the first 10-twist rollercoaster in the world. Colossus was more fun than Stealth, which was just terrifying. The queue was about 1.5 hours. 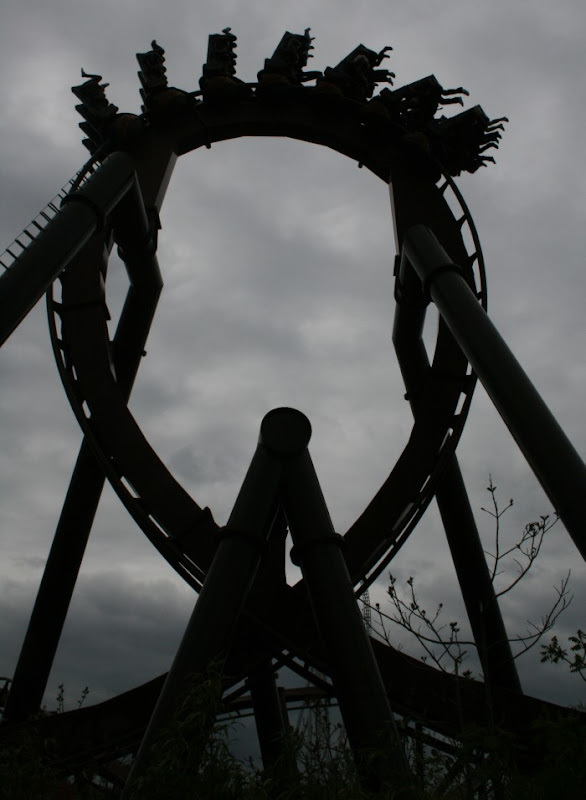 I had a special ticket that skips me to the front of the queue, but after Stealth, the idea of spending 90 minutes not riding seemed like a good option. While queueing, one of the nearby kids mocked me for wearing a pink poncho. Damn kids. 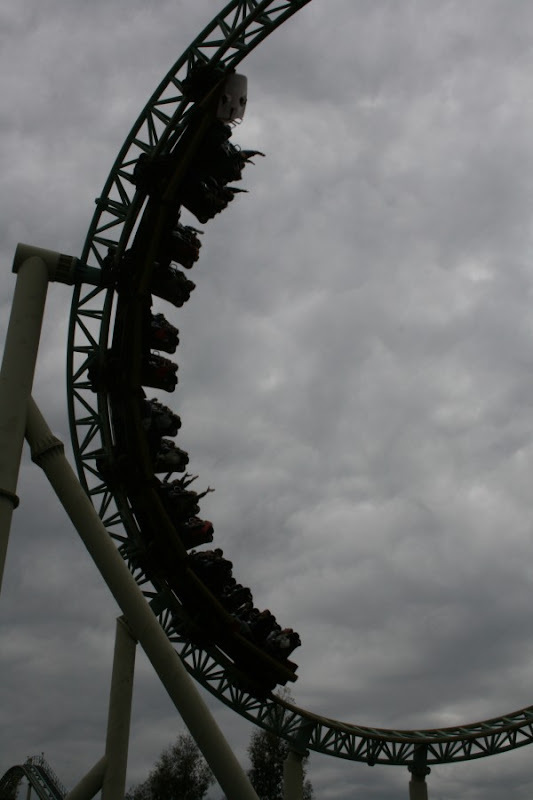 I then did a ride called Zodiac. It starts with a bunch of cages in a circle that spin until the cetripetal force is pulling the cages straight out, and then the whole things rises on a hydraulic arm so you end up spinning vertically instead of horizontally. If you look closely, you can see all the vomit gathering in a pulsating sphere at the centre of rotation, like the birth of a carroty star. You do NOT want to be in the bottom cage when this ride stops. 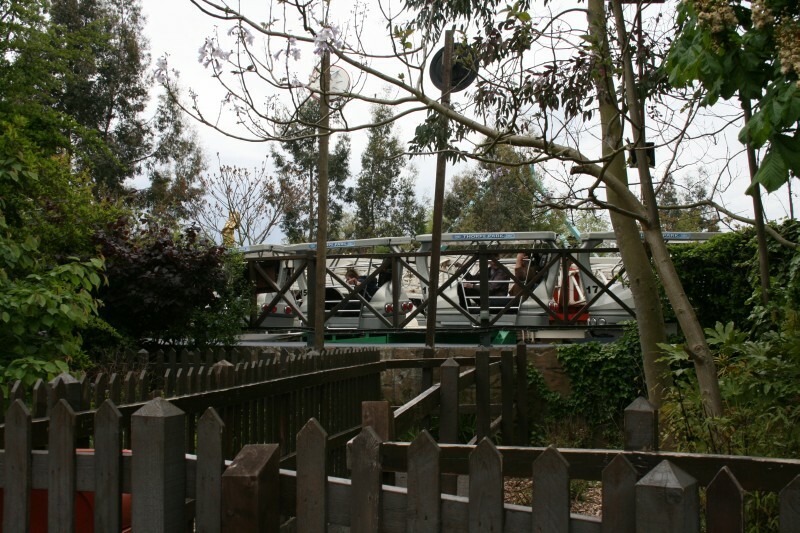 I also did a few of the minor rides: Flying Fish, Loggers Leap, Depth Charge, and the surprisingly violent teacup ride. How is it that I got more tonged around in the teacup ride than in something called Depth Charge? I skipped a couple of the major rides because my weak neck was getting pretty sore at this point. So that was a pretty good day out, and all things considered I look forward to never going back. Thanks for the comment. I was hoping to visit Spain this year for a bike tour, but now I think it'll have to wait until next year. There's so much to see in Europe!